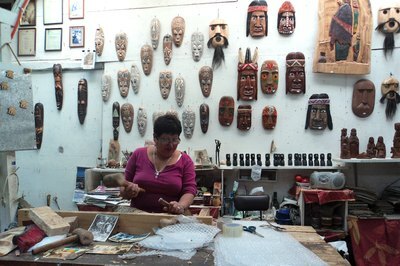 Primitive or rustic wood crafts are popular in the city as well as the country. Making and selling them is one way to learn a craft and earn extra money doing it. Whether you do it part-time, or want to create a full-time business, there are endless possibilities for you to explore. The large variety of wood crafts makes it possible to create unique items. Once considered leftovers or scrap, twigs are an abundant resource that you can collect for free. Twigs may be gathered and used to create picture frames, a potted plant trellis, baskets, miniature furniture and even birdhouses. Make sure the twigs are fresh when you gather them, and cut them slightly longer then the needed length. You can use wood glue, wire or thin rope to hold the twigs together in whatever shape you need. 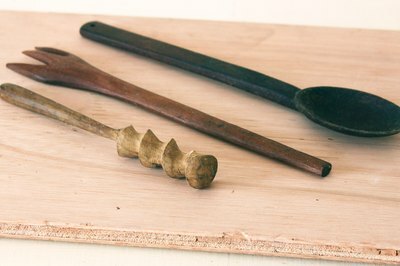 Twigs can also be carved into useful and beautiful forks and spoons. Simple wood toys such as pull toys in the shapes of various animals are popular with small children. They may be painted in bright colors, in a lifelike pattern, or left natural with a coat of varnish. 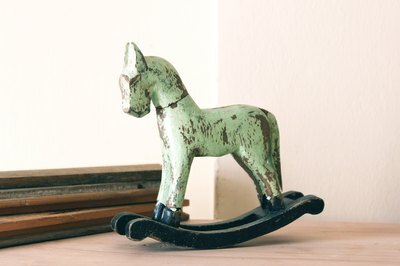 Rocking horses are also popular and can be as simple or elaborate as you like to make them. Building blocks are the simplest wood toy to make as all you need to do is cut a wood board such as a four-by-four to various sizes, sand off rough edges and then paint or varnish. A wooden toy chest will bring back fond memories, but remember to use safety hinges, or even rope hinges to attach the top for safety reasons. Rocking horses will be treasured for generations. Frames for mirrors or artwork can be made from scrap wood or barn boards. Primitive heart shapes can be cut and painted, and then embellished with a poem or quote to create a cherished wall plaque. Scroll saws can also be used to create wooden patterns and letters that can be used for plaques, wall hangings and yard ornaments. Benches and birdhouses are also easy rustic wood crafts to make and sell. A birdhouse can be either practical or simply decorative. Gather all the necessary tools and supplies you will need to make your rustic wood crafts ahead of time, and store them together. Make sure your tools are in good working order with all blades sharpened and all cords intact. Keep an assortment of sandpaper on hand, as well as extra saw blades and craft glue. All paint should be non-toxic, especially if used for children's toys. Work in a well lit area, and clean up as you go. If you are crafting multiples of the same item, do them in steps to make the process faster; for example, cut all parts out at the same time instead of individually. Make sure you do your best work, and that the wood is smoothly cut and sanded with no sharp edges or splinters. Your work environment should be tidy and well-lit. 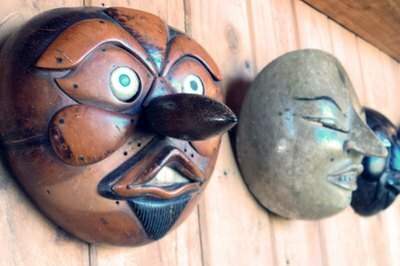 There are many venues for selling your rustic wood crafts. If you don't mind traveling, flea markets, fairs, festivals and craft shows are held all over the country and in all seasons. Most require registering beforehand and involve a small table or vendor fee. Some require you to have a business license, or at least a sales tax license. The internet provides many options for selling your work online. Online auction sites may work for you, or you could set up your own website. A quick search will list websites that will let you sell your items without having to create your own site; just upload pictures, descriptions and prices. You can also find the contact information of businesses that will buy your rustic wood crafts and add them to their own inventory. One additional option for selling your wood crafts is to ask local stores and shops to sell them on consignment. Whichever method of selling you choose, price your items carefully. Consider the time it takes to make them, the cost of the materials, any advertising fees, shipping fees and mark them up enough to cover costs plus show a profit, but don't mark them too high, or they won't sell at all. 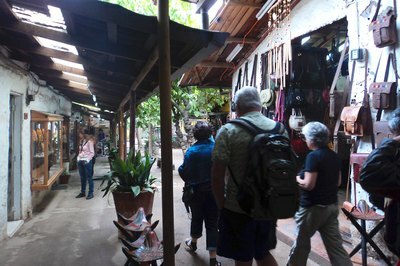 Flea markets bring many different artists as well as customers. Do You Need a Tax ID for a Craft Show?